Quality assurance systems provider BST Eltromat International will bring the latest version of its modular PROSolutions visualisation and operating platform to Tire Technology Expo. It links the company’s quality assurance systems with a user-friendly control interface. The latest version features enhanced function modules. Thanks to the modular structure, PROSolutions can be configured flexibly depending on the various tasks within quality assurance for tire manufacturing. The platform integrates and visualises any number of regulation and measuring stations in calenders, extruders, cutting units, pre-assembling, tire building machines and more, via a uniform user interface. Through this interface, machine operators have an overview of the whole quality assurance system and can easily manage it. Using the touch monitor, operators can switch quickly and easily between different applications, access data quickly, parameterise the sensors, or carry out tasks such as setting up cameras. The platform can be implemented on new machines or it can be retrofitted. It is also open to integration of solutions from other manufacturers. Klaus Hamacher, head of the automation department at BST eltromat, talks about how older machines can be given a new lease of life thanks to modern automation technology. What will BST be exhibiting at the show? 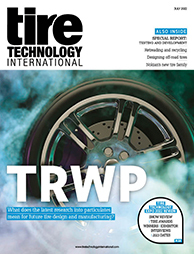 For us, the focus of this year’s Tire Technology Expo is on our modularly structured visualization and operating platform called PROSolutions. PROSolutions links our intelligent solutions for quality assurance in tire manufacturing with a clear user interface and offers the highest level of operating convenience. We will present new and enhanced function modules for PROSolutions. 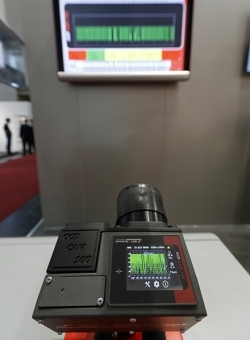 Furthermore, at our stand we will demonstrate the flexibility and power of the high-end line scan camera CCD CAM 100 for innovative tasks in such areas as thickness, width, length and angle measurement. What are the latest trends/what are customers asking for? In our opinion, over the last couple of years a development regarding what customers are asking for has taken place: now customers are no longer just looking for a supplier. Today, customers are looking for solution providers who understand their production process and who are able to increase their quality and production effectiveness. What will be the buzzwords on everybody's lips at this year's show and why? Normally, I would say Industry 4.0, but that’s not particularly original. Instead, ‘lifecycle management’ is coming up more and more. In my opinion, a lot of installed older machines are still mechanically in good shape and could run for more than a few years longer. However, many of these older machines need a retrofit of their automation systems to extend their useful service life. What do you hope to gain by being at the show? We hope to get intensive customer contacts and to identify new potential investment projects. Customers and interested visitors are invited to visit our stand and discuss their latest challenges and requirements for tire manufacturing with us.